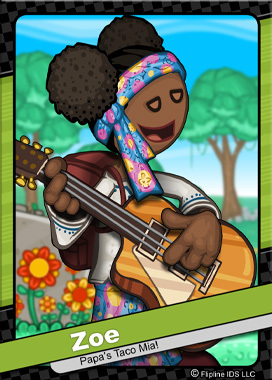 Zoe is a very talented traveling musician from Tacodale. She can be found playing her acoustic guitar in clubs, parks and just about anywhere that mellow music is appreciated. This laid-back lady often daydreams of opening a coffee shop that would showcase the best of local art and live music along with the occasional poetry slam.